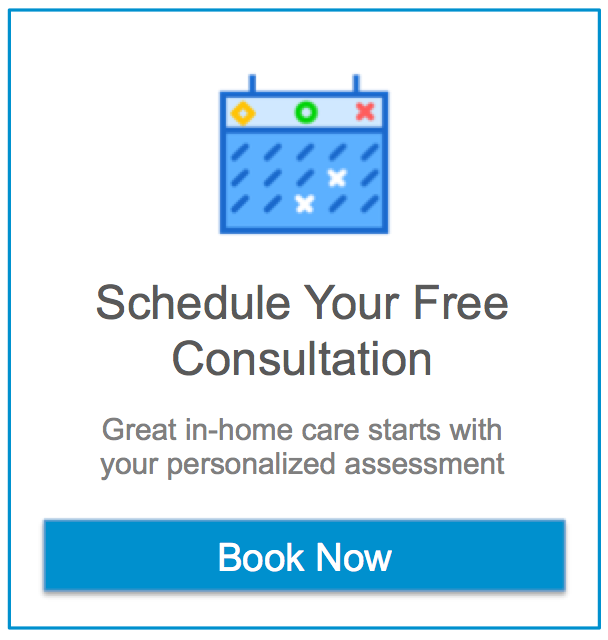 Home Care Planning How To Tell When You Should Hire an In-Home Care Professional? How To Tell When You Should Hire an In-Home Care Professional? Many older adults are content with aging in the familiarity and comfort of home. After all, their prized possessions, cherished mementos and even a favorite recliner are a simple step away. While many people aged 65 and older function well independently, some seniors may require additional attention at home. Numerous tell-tale signs indicate that in-home support is needed. A once-active senior may develop age-related illnesses, chronic conditions or sustain an injury. Since in-home care options have become plentiful in recent times, all that is required is knowing when to call a professional caregiver for extra help. A loved one’s physical condition is one of the most telling indications of the lack of ability to care for oneself. Grooming and bathing are no longer performed routinely—primarily due to the decline in physical capabilities. A grandfather who once dressed to the nines may no longer put the effort into presenting himself as a striking gent. Wearing disheveled and unwashed clothing when he was normally dapper may demonstrate the senior is struggling to maintain the daily grooming habits required to maintain his physical appearance. Assistance with daily living tasks, like bathing, grooming and dressing, are provided by caregivers. The aging process involves gradual changes in a senior’s physicality. However, when an elderly aunt grows thin and weak, her frail physique may indicate a poor diet. She may no longer have the physical strength to stand for prolonged periods to prepare and cook meals. Dementia may set in, causing the senior to forget to eat or how to cook. Weight loss is a clear indication that loved ones should step in. A caregiver will prepare nutritious meals to ensure the senior receives adequate vitamins and minerals. Bruising in a senior is revealing. The older person may be prone to falls, due to old age. Or, she may lack proper nutrition. The home environment may have to be adjusted to prevent injury. Alternatively, a professional caregiver is able to supervise the senior to help with mobility and prevent falls. Adult children who visit may stumble upon a parent’s barely recognizable home; once tidy, the senior’s home may be in shambles, with clutter littering the rooms and a general lack of cleanliness pervading the environment. A struggling senior no longer has the ability to organize her home. Ailing seniors fortunately can remain in a clean home with the help of caregivers. A part of the daily responsibility of professional caregivers is to perform light chores and sustain a neat living environment for their care recipient. Collection agencies will call when the electric and water bills are not being paid. Seniors who wrestle with keeping house will be unable to manage their finances due to age-related cognitive decline. Early signs of Alzheimer’s disease contribute to a senior’s inability to manage finances, especially when he has punctually paid bills in prior years. A family member should take notice when, out of the blue, their loved one applies for multiple credit cards, unnecessary subscriptions or luxury memberships. Poor judgement often accompanies the early stages of dementia-related illnesses. While caregivers should not be put in charge of maintaining a care recipient’s finances, loved ones should assign a trusted family member to monitor the senior’s spending, bills and financial accounts. Regular trips to the grocery store are likely to be put off when a senior becomes reluctant to drive. Poor eyesight or the inability to make quick decisions while driving may lead the senior to become housebound. Social isolation plagues older people in such situations. Plus, without intervention, food supplies become scarce at home. A caregiver can step in and provide transportation to help with various errands, like trips to the post office, grocery store, doctor’s appointments and physical therapy. Transporting a senior to classes and social outings are also a part of a caregiver’s responsibilities. General forgetfulness is a natural part of aging. When memory problems interfere with a senior’s daily life, like when the senior forgets to take prescription medicines, then extra help at home becomes a necessity. The older individual should also visit a physician, who can address the cognitive decline behind the memory issue and offer beneficial medical recommendations. While a non-medical caregiver is not licensed to administer medications, the caregiver can remind the senior to take his medications at the appropriate intervals. When a once-active loved one who enjoyed a weekly bridge game or tended to her immaculate garden becomes uncharacteristically sedentary, resorting to watching television in isolation and leaving her plants to shrivel, depression may be gradually setting in. Loved ones should address the senior’s loss of interests and hobbies by getting her prompt medical attention. In addition, a caregiver will provide companionship to her care recipient, engaging in card games, puzzles and pleasant conversation. Professional caregivers will take the time to build rapport with the senior, often resulting in the elderly individual looking forward to caregiving visits. A senior’s gradual decline in cognitive or physical abilities is indicative of the need for additional support. When a loved one will benefit from the services of a compassionate in-home caregiver, turn to Hinsdale and Cook County’s most trusted senior home care agency, Assisting Hands Home Care. 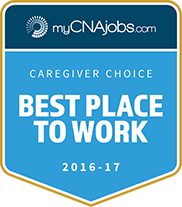 Non-medical caregivers from Assisting Hands Home Care are both skilled and experienced in helping seniors manage daily living. Dedicated caregivers provide support with bathing, dressing, meal preparation, light housekeeping and transportation. Care services also include companionship, 24-hour live in care, dementia and Alzheimer’s care at home and fall prevention duties. A detailed care plan that is tailored to meet the senior’s individual needs is developed by the Assisting Hands Home Care team in cooperation with the care recipient’s family members. Elder care services are flexible, ranging from respite care for family caregivers to live-in care. Assisting Hands Home Care offers the most dependable, professional home care services to senior populations. We are licensed, bonded and insured to give clients maximum peace of mind. Turn to the professionals at Assisting Hands Home Care to fulfill your family’s senior care needs.